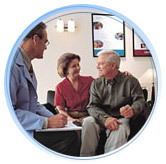 The Beltone name is synonymous with excellent hearing instruments, and through its relationship with independent hearing care practitioners, the Beltone network is able to provide professional and caring service that establishes the trust Beltone patients have come to expect. Beltone takes this reputation seriously, and because it means more to patients than hearing instruments alone, we developed BelCare® as a commitment and assurance of the highest standards in patient care. With the goal of providing the finest hearing instruments and hearing care experience for our patients, Beltone Hearing Care Practitioners strive to deliver an ideal hearing care experience encompassing these elements.